YouTube is one of the most popular video platforms that most creators use to upload and publish their content. However, it will be hard to maintain a consistent flow of uploads. That flow is necessary to buikd a bond between both viewers or subscribers and the channel creator. For this reason YouTube team equipped creators with some features to overcome that issue. More subscribers and consequently more views and interactions. 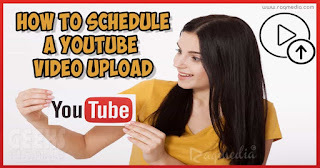 Increase your ranking in YouTube search engine. The ultimate advantage of this feature is to provide a consistent and regular view and frequent visit to you channel. consequently, this will signal to YouTube platform or bots that your content is valuable and worth recommendation. After all it alllhappens algorithmically! ^-^. You can check our tutorial on how to properly upload your videos here.